AC in All Dorms and Private rooms! 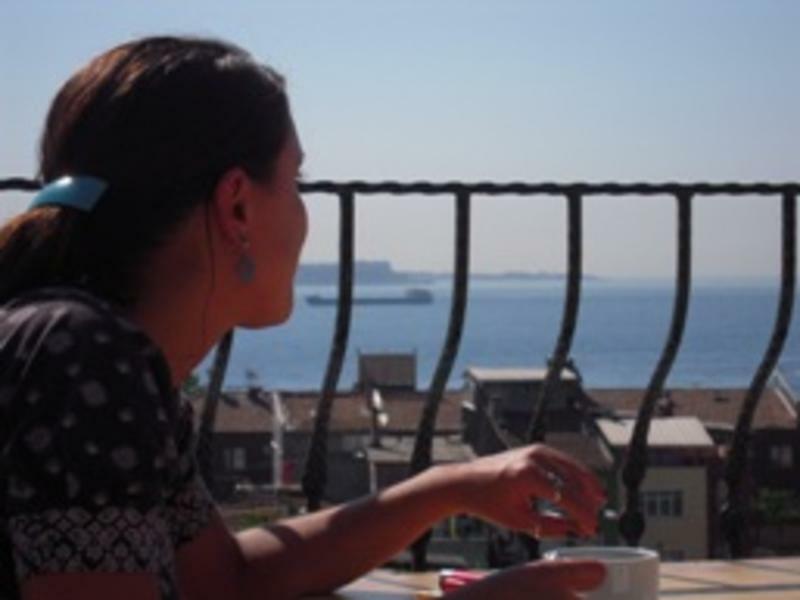 Agora Guesthouse & Hostel, the only hostel in Istanbul that looks exactly like the photos! 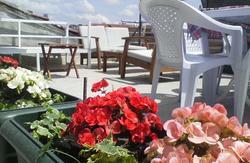 Brand new Agora Guesthouse & Hostel, in the best location in Istanbul! Depending on budget and lifestyle, guests can choose from a wide array of room types and amenities, from private rooms with private baths, wide screen TV with DVD player, air-conditioner, complimentary wireless Internet, and direct-dial telephones and hair dryers to shared rooms with shared baths down the hall. All shared rooms at Agora Guesthouse and Hostel have air-conditioners, storage lockers. You will get to enjoy Agora's home-made breakfasts which are served on the rooftop terrace overlooking the Bosphorus and the Asiatic part of Istanbul. We serve cold meats and cheeses, real brewed coffee and Turkish tea, yogurt and muesli, juices, eggs, honey, butter, jam, fresh and dried fruits, cereal. Staying at Agora is a lot of fun but this isn't the right place for you if you are looking for parties all night at our guesthouse. Please bring your own padlock. You may also buy one from the front desk at a convenient price. We are sorry but no guests under 18 years of age or over 40 for hostel section. station and transfer to T1 tram. (the tram runs from 05.00 in themorning till 23.55 in the night). 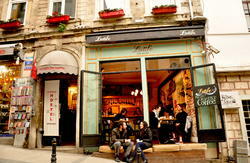 You can take the 'Havas' shuttle bus to Taksim square. There is a bus every hour between 4.00 and 1.00.
take the subway shuttle down to Kabatas and then T1 tram to Sultanhamet. Take the tram to Aksaray. Get off at the last stop 'Aksaray'. you will see a tram line right after the mosque, called Yusuf Pasa. Take the T1 tram to Sultanahmet towards Kabatas direction. Make sure you are going in the right direction! Get off at the Sultanahmet tram stop. office in the park on your right and Pudding Shop restaurant on your left. 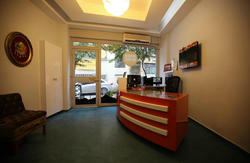 The tourist office would be able to give you directions during the business hours. Walk diagonally through the park towards the Blue Mosque which is on your right. you will see the Blue Hotel (MAVI EV) and Arasta Bazaar on the corner. and the Big Apple hostel sign. Just turn right again and you will find us right next to Bahaus. Please feel free to call us if you get lost. Take T1 tram opposite the station, uphill to Sultanahmet and then follow the directions given above. Walk up to T1 tram stop and take T1 towards 'Zeytinburnu' station. Just follow the directions above once you get off at Sultanahmet.